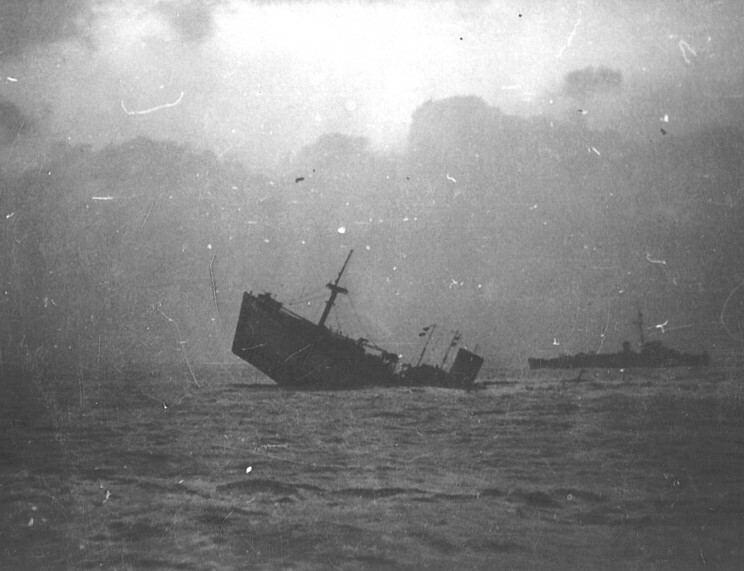 December 28, 1944: Empire Javelin sinking in the English Channel. 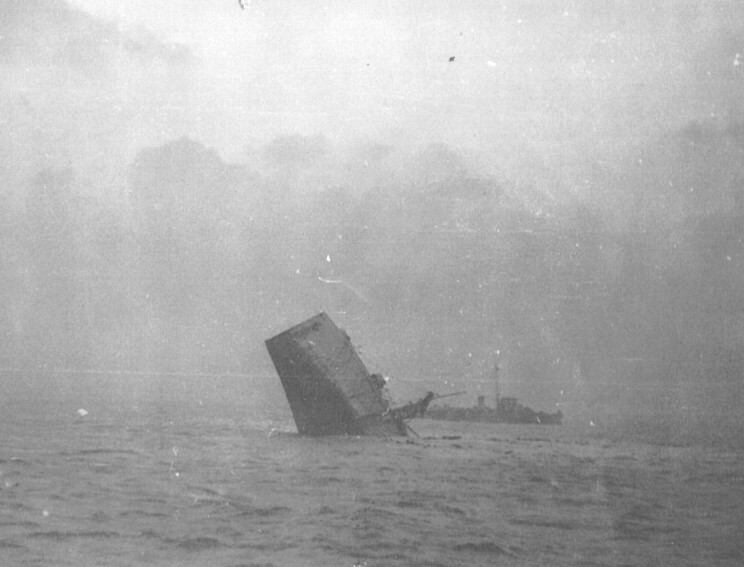 HMS Hargood K-582 is seen in the background. Photo taken by Lewis D. Rindone from USS LST-325.